“Unsettled: Seeking Refuge in America” premieres as part of the San Francisco International Film Festival Wednesday, April 17th at 7:30 pm at the Victoria Theatre in San Francisco (it shows again Thursday at 8 pm in Oakland). 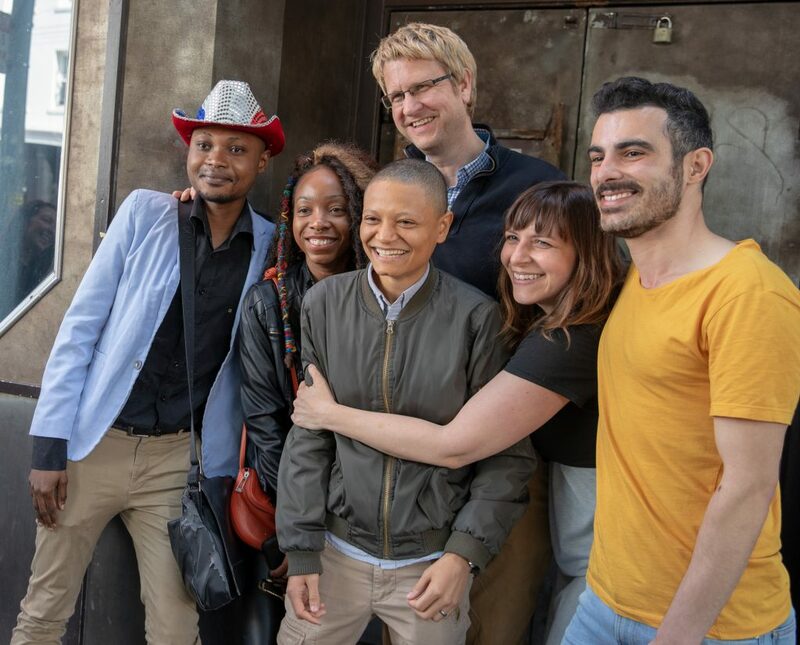 The film powerfully and heartbreakingly details the challenging process that LGBTQ refugees must go through to find safety and security while starting over in the US. One of the newcomers featured in the movie is a client of the Guardian Group, and a couple of his volunteer helpers appear on screen. The inspiring new documentary profiles four people who have come to San Francisco to save their own lives. Over the course of this unforgettable group portrait, Subhi (from Syria), Junior (from Congo and our Guardian Group client), and Mari and Cheyenne (from Angola) experience roadblocks and triumphs as they reflect on their respective histories and try to create a home for themselves in an environment that is not always welcoming. This important film shows what real refugees and asylum seekers are like, contrasted to the mythical boogeymen created by the President. 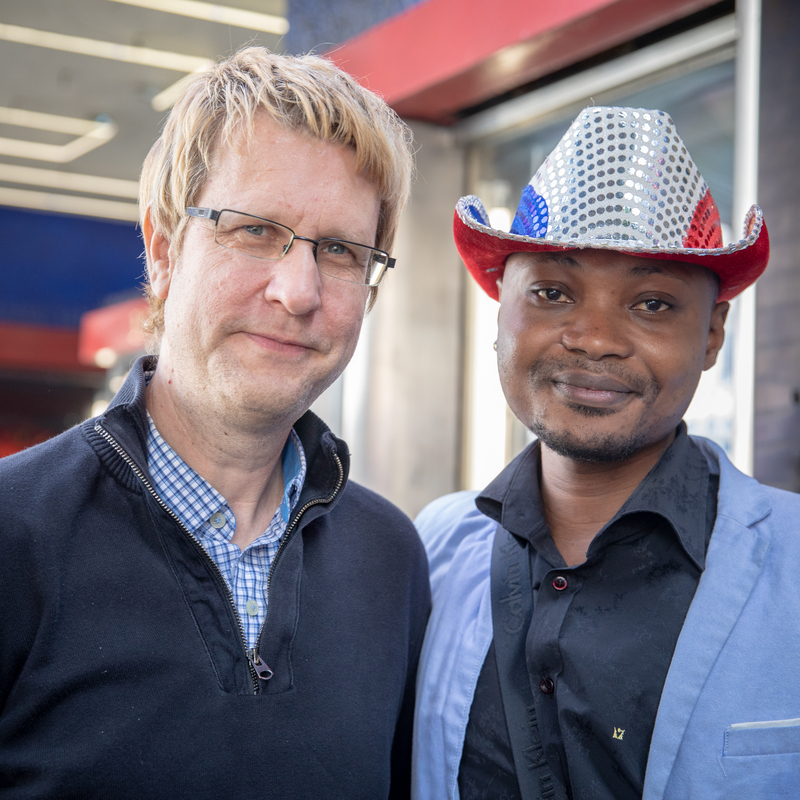 The leads and filmmakers of “Unsettled” Junior Mayema — in the red, white, and blue cowboy hat — is a client of the Guardian Group. This entry was posted in Action, Stories on April 13, 2019 by Moderator.